The Basics of Poker Tournaments …. Tournament Poker is the life blood of the poker community. It is the most popular way to play poker and is the format used in all major Poker Championships such as the World Series of Poker. When you choose to play poker then you have two main options in how to play. The first is in a cash game or sometimes called ring game format. On these tables you select the stakes that you wish to play and then sit down at the table with an amount of money from your bankroll. This amount of money is used as cash chips to bet during the game. All pots won or lost will be for real money and will directly impact your bankroll. The alternate is to play in a Poker Tournament which can feature as few as 2 players playing on a single table up to many thousands of players all competing together. In a Poker Tournament each player pays an entry fee, called a buy in. The buy in is a fixed amount that all players pay at the start of the Tournament. These are then pooled together to form the prize pool which is awarded to the top finishing players in the Tournament, usually the top 10% but this does vary from Tournament to Tournament. In exchange for their buy in each player receives a stack of Tournament Chips with which to play in the Tournament with. Once a player loses all their Tournament Chips then they are eliminated from the Tournament. During the course of the Tournament the blinds and bets will increase in size at set time intervals which ensures that players must increase the size of their Tournament Chip stack in order to be able to afford the increased blinds and bets and stay in the Tournament. The winner of the Tournament will be the last player standing who has all the Tournament Chips in his stack. Tournaments can take varying time to complete, from under an hour for a single table “Sit and Go” Tournament to a number of hours for a multi table Tournament. Some large Tournaments with thousands of entrants can even be run over multiple days. The pinnacle of Poker Tournaments, the World Series of Poker Main Event has between 5,000 and 10,000 players enter and runs over the course of two weeks. The winner is well rewarded however with a multi million dollar prize. The higher the number of entrants in a Tournament then the longer it will take to complete. 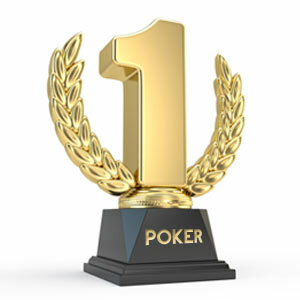 Of course the prize pool will also be higher due to the higher number of buy ins. The chips in a players Tournament Chip stack are not real money, they are only for use in that particular Tournament and represent that player’s status in the Tournament. They cannot be transferred to another Tournament, and they cannot be cashed out for money. The reason why Poker Tournaments are so popular is because it is possible to win many times the cost of the buy in. It is a small risk to win a potentially large amount. For a small entry fee of a few dollars you could win thousands in return. It also adds a competitive element that is not present in cash games. The enjoyment in tracking your position in the Tournament as it progresses and seeing your name at the top as the Chip leader cannot be reproduced. Tournaments can also be very strategic, with players developing their own strategies or learning well known strategies on how to play well in a Tournament in the various stages of a poker Tournament. Good Poker Tournament strategy can be learnt just like anything else and can give you a real advantage over other players in the Tournament. This is why you see many good Tournament poker players consistently getting good results and being very profitable. If you are interested in learning good Poker Tournament strategy then why not take a look at our How to Win a Poker Tournament Guide in our Poker Tips Section. Its a complete guide that will discuss and explain Tournament strategy with you at various stages of the Tournament with the aim of making you a more profitable Tournament poker player. If you are looking for a place to play Poker Tournaments then we recommend that you head over to our Play Poker section where we can recommend online poker sites that are trusted and offer good poker Tournaments.